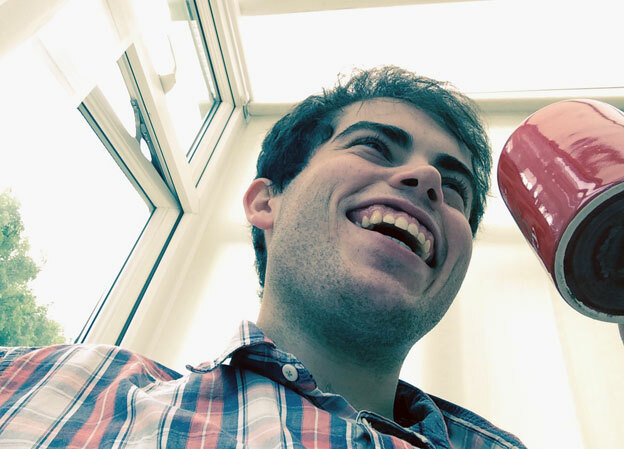 Why are young people scared of disclosing their disability to employers? A survey released to 5 live Breakfast has found that more than three-quarters of disabled students and graduates are afraid to let potential employers know about their disability. It is a classic dilemma for people with disabilities - and it's one I've been facing myself. I'm in my third year of an English degree at King's College London - in fact, it's less than two months until my dissertation is submitted and my undergraduate days come to an end. I've decided on my next step - a career in commercial law - and have already secured two summer vacation schemes at top firms in the hope of obtaining a training contract. Unlike most applicants, I'm disabled. I have an autistic spectrum disorder, as well as symptoms of dyspraxia. When I first committed myself to commercial law about a year and a half ago, I was very concerned about being open on application forms, and throughout the interview/assessment process. My friends and family almost unanimously advised me against being open - or to "disclose", as they put it - because of a fear that this information would be used to sift me out at the first stage of the application process. The way they saw it was that no company would want the hassle of employing me - they'd be scared about the effects of autism on my work, and wouldn't want to "waste" money on adjustments when they could instead hire someone who didn't need them. Everyone with autism is affected in different ways - I have difficulty gauging social interactions, such as how long to speak for and how long I should maintain eye contact. Contrary to the stereotype of avoiding looking at someone's eyes, I often find my eyes can linger too long and make people uncomfortable. I find it hard working out if somebody wants to interject or has grown bored of my talking but, unlike people with more severe autism, I can read tone of voice very well. I'm not so good at controlling my own tone and can sometimes come across as angry or blunt when I don't mean to be. My family and friends made some good points. I do mention my disability when applying for big corporates, but am still hesitant about disclosing to small and medium-sized businesses as they usually don't have teams dedicated to disability research and understanding like larger firms, or might not be able to afford adjustments. 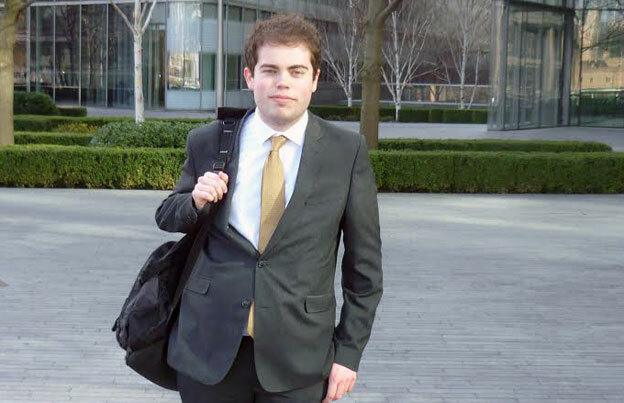 After attending a number of disability employment events, I was able to meet city graduate recruiters at large firms - including the legal, banking and energy sectors - and learn first-hand about their approach to disability and the appropriate adjustments. So when applying for commercial law jobs, I'm now a lot more confident about disclosing that I'm on the autistic spectrum because I'm assured the information won't be used to discriminate against me. Instead, I'm told this information will be used positively to allow me to perform to my full potential if I get the role. Often I will only ask that my interviewers and assessors be made aware of my autism, and how it might affect my performance in an interview, allowing them to look past certain traits, avoid misinterpreting how I come across, and focus instead on the content of my answers. If recruiters know, they then have an explanation for behaviour they'd otherwise find odd. Revealing that you are aware of this too will paint you as a confident, mature person with attention to detail and it will also show you have an interest in self-improvement. That being said, this doesn't mean I have no concerns at all about being open in my future career. The recent Great with Disability report that reveals that more than three-quarters of disabled graduates are afraid to let potential employers know about their disability doesn't surprise me. Jump media playerMedia player help Out of media player. Press enter to return or tab to continue. While I'm convinced that being open makes applying for graduate and entry-level roles easier, I am concerned about the low numbers of openly disabled people in higher levels of the professions; in particular, the apparent lack of any openly autistic partners or counsels in the legal sector. It might be that nobody with autism has ever reached these positions. It's more likely that they have, but chose to remain quiet about their impairment or may not have been diagnosed. Either way, without open role models, I sometimes worry whether I will be able to reach those top jobs, and wonder what it is that is holding some disabled people back. Though large law firms might have a great attitude, top jobs in the legal sector are largely client-facing, and I can't help but worry that client concerns about disability play a large part here - so a law firm's internal positive disability policy may not help. I'd like employers to understand the benefits of disability - it can make people a lot more determined to achieve goals and the challenges it throws up often force us to become good problem-solvers. A different way of looking at the world is vital. Recent evidence shows how diversity - of experience, background and belief - benefits business. But if people aren't open about their needs, then they can't perform at their best. I choose to tell potential employers about my disability so that, should I require any adjustments, they'll be available - and I can walk into work and spend all my energy on doing my job rather than hiding who I am. The research was conducted by Great With Disability providers of advice on disability and employment. a short list of recent "isolated incidents"